IMPORTANT - No pets allowed. Service Dogs are welcome. Check-in and Walk-up Registration is 6:45 - 7:45 AM. Walk/Run begins at 8:00 AM. Entertainment, drawings, food and festivities immediately afterwards. In her memory The Chelsea Hutchison Foundation is designed to assist people living with Epilepsy. Funds raised by this Foundation provide grants for seizure-response dogs and epilepsy monitors for those in need, educate the public about SUDEP (Sudden Unexpeccted Death in Epilepsy), and provide support to those who have been affected by SUDEP. 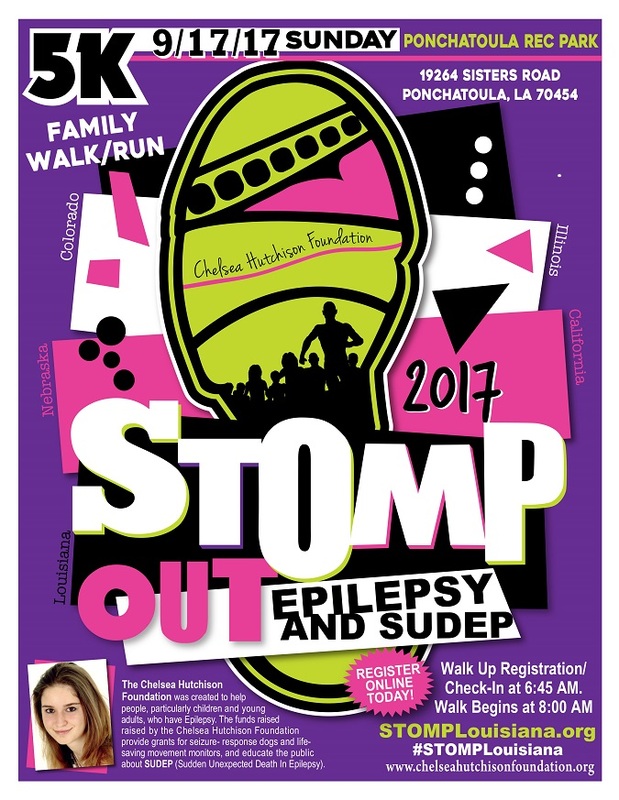 The Chelsea Hutchison Foundation exists to raise awareness of SUDEP and to grant comfort, hope and positivity to individuals and families living with epilepsy. To date, The Chelsea Hutchison Foundation has had the privilege of providing 102 seizure-response dog grants and has provided over 450 life-saving night-time and day-time movement monitors for those in need. We have awarded 41 families with wish trips to the one-of-a-kind Epilepsy Awareness Expo and Day at Disneyland. The Expo offers a wealth of information and exposure to professionals, treatment options, education and hope. Fee guarantees an event tshirt if registering before August 15, 2017. We always order more, but after that, tshirts and t-shirt sizes are subject to availability. Walk Day Registration is $35 Adult (13 and up) and $20 Children 7-12. Service dogs welcomed and encouraged. Pets are now allowed.